Cats are not famous for showing their emotions, so it can be hard to tell if your cat is sick or feeling unwell. Whilst it’s usually great to have a pet which is so laid back, when they’re sick it becomes very difficult to know. Cats will sometimes try to hide away if they are unwell or else their everyday habits like sleeping may become exaggerated. Even if you know your cat really well, it can be difficult to know the signs that something is wrong. The earlier you detect something is wrong with your cat, the faster you will be able to get them the treatment that they need. Sometimes illnesses can go undetected for a long time. This isn’t because the owners are careless or neglectful, but rather they didn’t know the subtle signs that something was wrong with their cat. It’s also likely that cats have developed an ability to hide signs of illness for evolutionary reasons- in the wild sick cats would be attacked. If you’re concerned then it’s always best to err on the side of caution and visit a vet. We’re sure your kitty will thank you for it! Eating too much or eating too little can be a sign that something is wrong with your cat. There are many diseases that can cause increased or decreased appetites, so if you notice a change in your pet’s eating habits, particularly if they refuse food for an entire day, you should contact your vet. On the other hand, if you cat is suddenly eating considerably more this could also be a sign of health problems. On average, cats will sleep for 18-20 hours a day so sleeping is certainly not uncommon. What you should look for is any changes in your cats regular sleeping pattern, particularly if they are sleeping more than usual. If your cat does not have other symptoms then you should just keep an eye on them. However if they begin exhibiting symptoms such as vomiting, diarrhoea, loss of appetite or swellings then you should bring them to a vet. If the excessive sleeping continues more than a day then it would be wise to take them to the vet. This is a pretty easy one to spot (or smell). If there is a foul smell coming from your cat’s mouth it can be a sign of gum disease or tooth decay. Breath that smells like ammonia can also be a sign of kidney disease. 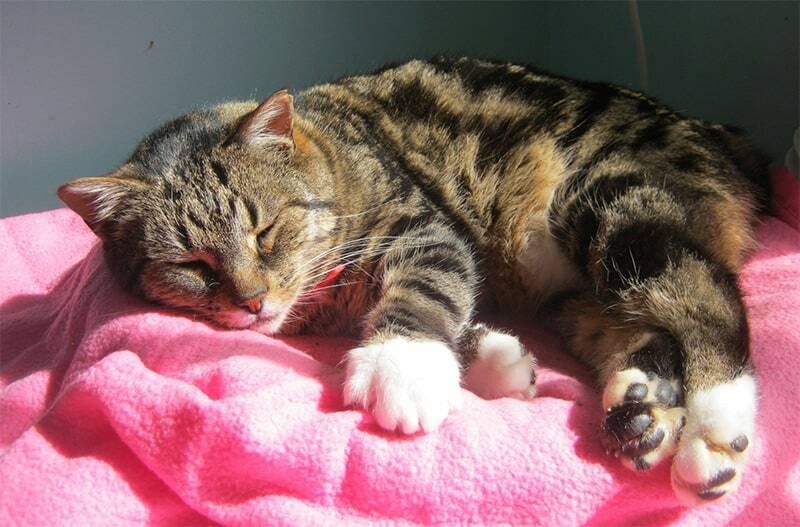 A high temperature is usually a sign that your cat is suffering from a fever or infection. To measure their temperature, use a rectal thermometer. However, if you are not confident or your cat becomes distressed then it is probably best to leave this to your vet. A cat with a fever usually sleeps for longer than usual, eats less and sometimes has a coat that sticks out at odd angles. You can also try touching their nose and ears, which may be warm and dry. Conversely, if a cat’s ears are cool then it is unlikely that they have a fever. If your cat is gaining or losing weight, you should take them to the vet immediately. Even if the weight loss is gradual, you should make the trip to the vet. If you are concerned about your cat’s weight, weigh them weekly. You can do this by weighing yourself on the scales, then stepping onto the scales with your cat and calculating the difference. 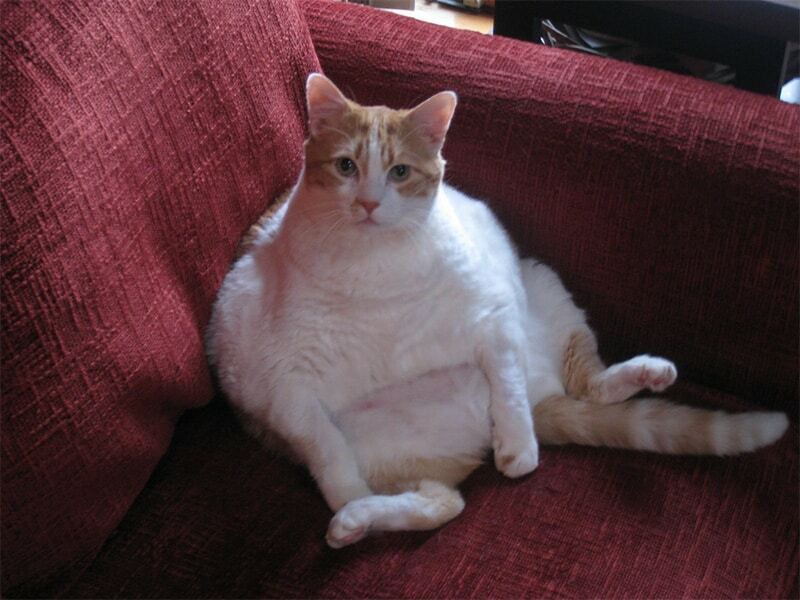 A loss of weight could be an early sign of diabetes or hyperthyroidism, even if your cat otherwise seems well. If you notice your cat losing weight then take them to the vet for a check up. It is possible for your cat to remain the same weight whilst their body condition changes and this can also be a sign of underlying illness. 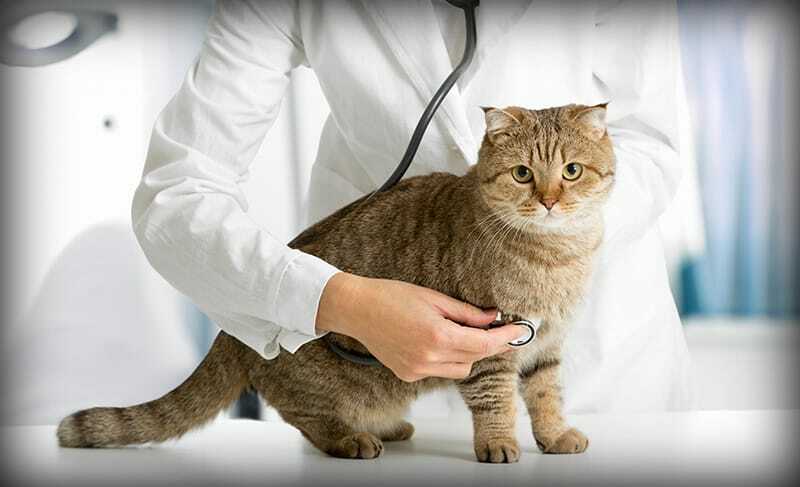 If you can feel your cat’s backbone or their overall fat cover is decreased then this could be a sign of cancer. A swollen belly without significant weight gain could be an indication that your cat is suffering from a cyst. Any of these changes are cause for a trip to the vet. Cats naturally have a very low drive for water, particularly if they eat wet food, so what is important in this area is to look out for changes in their regular water consumption. Conditions that cause increased thirst are kidney disease, infections, overactive thyroids and diabetes. If your cat is drinking a lot more than usual then take them to the vet. If you want to check whether your cat is dehydrated, carefully grasp the skin between their shoulder blades. Gently pull the skin away from their body and let go. If the skin does not snap back into place immediately then there is a high change that they are dehydrated and you should consult a vet. Look out for any changes in your cat’s litter box, including any defecation outside the box. Be aware of whether your cat is using the litter box more frequently. Cat poo should be firm and long, not like hard pellets or wet. Urine should not have blood or mucus in it. If your cat has diarrhoea or constipation (indicated by straining or pellet-like feces) then you should take them to the vet immediately. Male cats are particularly prone to urinary problems. This might be indicated by a cat repeatedly visiting the litter box or squatting outside the litter box frequently. Check whether your cat has passed urine inside the litter box and if so, check whether it has any blood in it. If ever you are concerned about your cat, the sensible thing to do is take them to the vet, even if it is only for your own peace of mind. Cats are very subtle in their mood changes and so although you may feel like you are overreacting, your vet will understand your concern and be sympathetic.